A Six Nations band member says he is planning to open up hunting supplies store on the territory. Ryan Anderson came to Elected Council Tuesday seeking approval from the band council for the project. The store will carry both non-restricted firearms and ammunition. Councillor Terry General said its about time a store of this nature was accessible on the territory for hunters to access supplies locally. Preliminary hearings are closing up for the man charged in the shooting death of Six Nations man Jonathan Styres. 27 year old Peter Khill of Glanbrook will again appear in court on May 31 and June 2 with formal trials to begin on June 5th. Khill is currently out on bail. 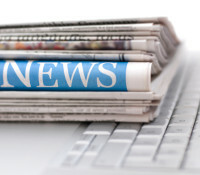 A publication ban is still in effect against all evidence presented in court. Ontario Provincial Police (OPP) Haldimand County Detachment is reminding the public to “think before you post” after a social media post intended as “a joke” caused alarm and concern for staff and students at Mackinnon Park Secondary School in Caledonia, Haldimand County, Ont. OPP responded to a weapons complaint last Monday after school staff and parents reported a picture of a female Mackinnon Park Secondary School student holding a gun with the comment saying “dont come to school tomorrow”. OPP investigation determined that two female students were involved. Both told police they only intended the image and comment post as a joke and realized it had gone too far. The alleged firearm in the photo was located and determined to be an “air soft” pistol. OPP were able to determine that there was no cause for concern to public safety. OPP detectives and forensics officers were active on the territory this weekend, collecting evidence from a Sixth Line junkyard. Witnesses said the unknown evidence was placed into an OPP Forensic Unit vehicle. 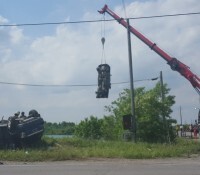 Both Six Nations Police and Brant OPP denied to comment on the nature of the investigation that lasted all day Saturday and then again on Monday night. 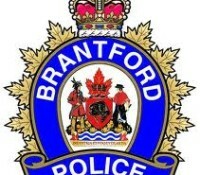 Residents are speculating that the investigation may be possibly connected to one of three ongoing murder investigations in Brantford and Six Nations.